Posted: Monday 20th July 2015 in Owned and earned media, Thought Leadership. No, it’s not the latest Andrew Lloyd Webber musical, but it represents similar production values. The latest Google algorithm update which landed on 3rd May 2015 – dubbed the ‘Phantom 2’ update – reinforces Google’s position to uphold standards of high quality original content. 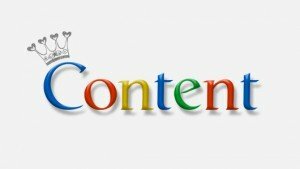 The good news is Google continues to help promote values of excellence by rewarding skill and talent where quality content is surfaced across the web. Analysis by our SEO strategy wizards here at Summit suggests nothing major has changed in terms of any movement in rankings of our client’s websites. Wider commentary around the update includes some reports that have seen a “decline in visibility for some how-to sites, mostly pertaining to those with “thin content, or lacking much value.” (CNBC/Searchmetrics). While previous updates cracked down on poor content and websites that appeared ‘spammy’, the Phantom update is a core algorithm change that impacts ‘quality signals’. What this means for retailers and brands is a focus needs to be placed on creating positive experiences for customers online – and that means investing in high standards of content. Google’s own advice is to create credible and valuable web content “to give customers the best experience possible online”. See Google search console course. What this really means is Google has raised the bar with regards to content and the best course of action to take is to look towards best practices which traditionally sit within journalism and academia. What do retailers need to do today? Ensure accuracy of factual content. Avoid broken links – this gives customers a poor experience. Content should be meaningful and valuable for customers – not just created for search engines. Content is not just about text – consider using additional media to communicate and give the user a better experience. Add citations to factual claims or research within guide-related content and articles. Place links off-page only to credible sources. Avoid over-use. Show author profiles on blogs and on guide’s content. This adds more personality, credibility and builds trust. As more and more content is pushed out onto the web, there is so much more rubbish out there. For brands and retailers to rise above this noise, the only way forward is to adopt even better practices. At Summit, we put the customer first. Our content strategies for clients always centre on giving your customers the best possible experience. Our best practices represent high content production values and, crucially, also aim to drive performance. Content for retailers and brands isn’t about putting search engines first – it’s about creating great experiences online for ordinary folk like you and me.